Sui Mai alerted me to this lovely boulangerie in Belleville so off we went. Boulangerie au140 sells award-winning baguettes as well as lots of other yummy breads. 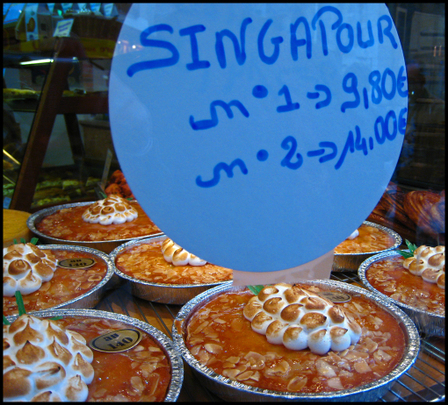 But the sweetest part: these "Singapour" tarts. Is the topping meant to represent a bunch of grapes, pineapple or durian? My first Michelin starred restaurant experience. And I didn't enjoy it at all, no, not the dull food, the layer-by-number childish presentation and the lacklustre service. Sui Mai has all the details, so I won't bother to rehash. Suffice to say husband and I were quite disillusioned with fancy French restaurants after more than a few meals like this (though this takes the cake for the most disappointing meal yet), and have decided to concentrate on other cuisines, at least for the next few weeks. Paris is a giant ashtray. Early this year, the French banned smoking indoors. Well, most indoor premises except cafes and restaurants which get a 1 year grace period. But the thing is, this new law did not make people stop smoking. The smokers simply went somewhere else, and the most convenient place for them is ta-da: the sidewalk. I walk a lot, everywhere we go we need to walk, and everywhere we go we bump into smokers. Workers on their smoke breaks, tourists puffing-chattering and blocking my way, deliverymen having a last drag before stubbing out at the service entrances, chauffeurs gossiping in hazy cliques, etc etc. I am perpetually under, in front of and practically wading through a never-ending toxic cloud. When I push V in her stroller, I silently curse at the smokers for causing my child to inhale chemicals into her fragile system. It was particularly bad this afternoon. Hordes of people in the streets, and every doorway choked with these evil beings. I came home with my hair, my jacket and my bag all stinky. At that moment I wished with all my heart that I am back in Singapore, you know, where smokers are treated like pariahs. I don't understand why husband's predecessors all wanted to extend their tenure here. Me, I cannot wait to go back. Last night I was craving for fish head curry. Oh My God I haven't eaten any crabs for more than three months. Nor real dim sum. Nor popiah. Or durians. I mean, what is exciting here? White asparagus? They taste of nothing, and looks like giant cigarettes. 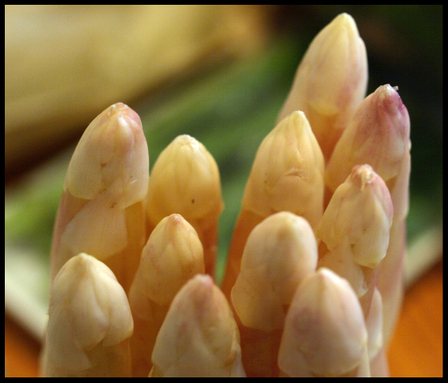 Albeit with pretty pink-tinged tips. Still, I'd rather puff on a giant paper thosai! Or kueh kapit. Or yu-char kway. Oh and you too my Pocky friends. Since I had sent my winter coats to the dry cleaners I need to keep warm with some hot foods, this is especially important now that the weather has unexpectedly turned very icy and wet. This dish fills that need perfectly. 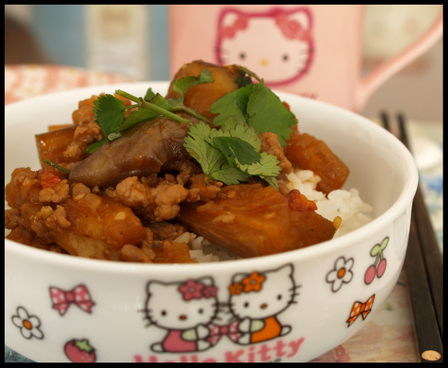 It has aubergines in a relatively quick braise with a spicy umamilicious sauce. Aubergines, which is one of my all time favourite vegetables, soaks up all the wonderful flavours and blend with all its partner ingredients beautifully and the leftovers are even better so it is a good idea to make extra. It is also tasty eaten cold. I have been cooking this dish on and off for almost 20 years, and I am still in love with it. This is the basic recipe, I've made countless variations depending on the ingredients available in the pantry. Minced meat is better substituted with deep-fried, then ground-till-fine-powder ikan bilis (small anchovies), ditto for dried shrimps. Leftover roast duck would be nice too. Onions instead of shallots for a more mellow sweetness. Cantonese style- chilli oil if one can find it in the supermarkets, the ones with dried chillis and visibly big seeds floating in vivid red oil. Here a mainland China brand known as Lao Gan Ma or Old Godmother is what I love to use, it has a fabulous smoky, ma-la heat, especially the version with chicken oil, ooh-la-la. Otherwise sambal oelek. The most important part is to have a bowl of steamed white rice to eat it with, everything else is open to interpretation. 2 medium sized aubergines, cut into 3 inch strips. 10-15 dried tiny peppers or 5-6 larger specimens cut into 2 cm lengths (also titrate according to heat tolerance). 1. Saute the shallots untill it is very soft. 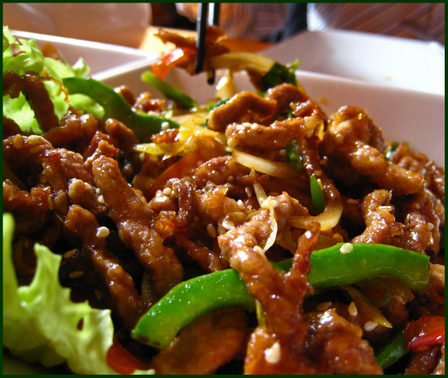 Take out 80%, the remainder can be further cooked till it is more crispy and is meant to be used as garnish. Omit the second part of this step if using big onions. 2. In the empty pan/wok, saute the dried peppers in some oil. If using chilli oil, heat the chilli components as well as some of the red oil. The kitchen will be smoky and you will sneeze. This is good. 3. Return the shallots to the pan, stir once. Throw in the aubergines, toss a bit. Now the minced meat, followed by a dash of oyster and dark soy. To cool down the sizzling pour a bowl of stock or water and let it all come to a boil. Adjust seasoning with a few drops of fish sauce if necessary. 4.Turn the heat down to a medium simmer and cover. 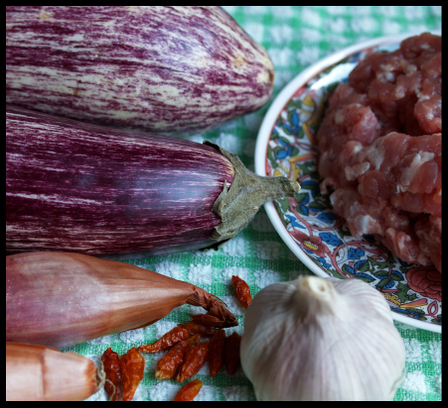 Let the aubergines soften and the sauce thicken, about 15-20 minutes. Add more liquid if necessary, stir occasionally. Lay the table and wait a bit more. Serve with white rice and a garnish of chopped scallions or parsley. 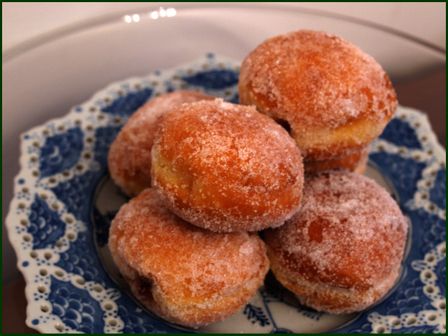 February, even though it was a short month of only 28 days, saw quite a lot of sweet treats eaten chez moi. First up, a a quarter wedge shot of this pastry I bought from the cheese stall at the market, without first finding out what it contained. 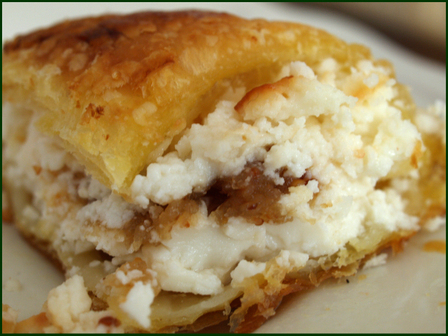 Fortunately it was a pocket full of a very agreeable mix of goat cheese and soft dried figs. On another occasion we bought another piece, only to find out it had a very stinky cheese baked into the insides, minus the figs, boy that was nasty, so now I make sure to check with the cheesemonger first. 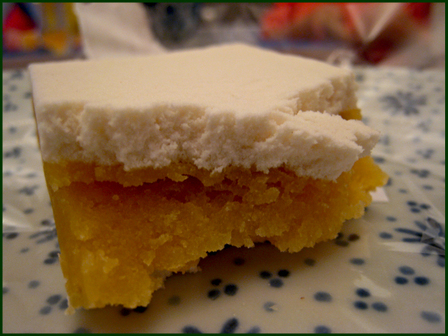 This rice flour cake layered with a kind of dryish powdered milk custard paste is a particular favourite of my husband. I honestly don't see the attraction, it was hard to even swallow a nibblet. From one of the dozen snack shop/internet cafe/bahn mi joints in the 13th arrondissement. 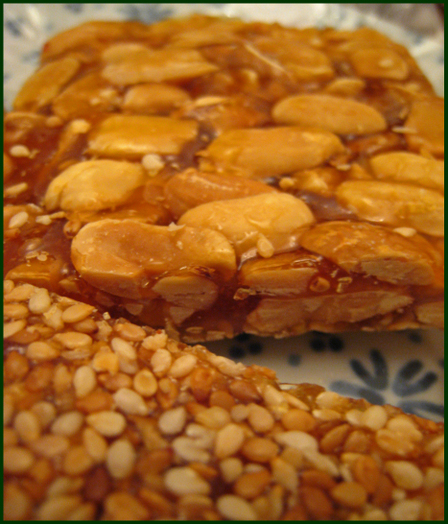 Husband loves these peanut brittle slabs too, and again, the little snack stores in the 13th have a good turnover of these, enough to ensure very fresh supplies. True to my short attention span, we have not been eating much baked goods and have stopped popping by the neighbourhood MiDoRe. This may be in part attributed to the batch of mini beignets that was disappointingly dry and cakey, I may be used to the Singapore versions which are lighter and softer. 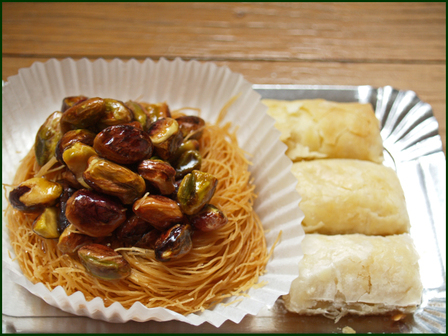 Some treats from Noura's. Happily for our teeth too, our fixation on these nut honey pastries are slowly waning, we're now able to survive on about one fix a month. 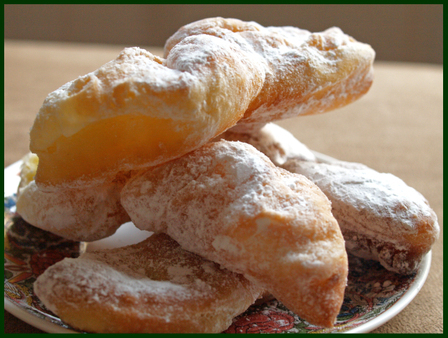 These cloudlike pastries are called 'bugnes', a variation on beignets I guess. Light yet substantial in taste, with a transient melting character from the buttered layers and icing sugar, a paperbag of these goes down the gullet faster than one can say 'wow, these are yummy!'. From le Fournil de Mouffetard on 123 rue de Mouffetard. Along the same little street as le Fournil de Mouffetard, at number 112, is a branch of Nicolsen Chocolatier. I am not into chocolates but their jellied fruit bonbons, all laid out like twinkling gems on the glass counters, never fails to tempt me. 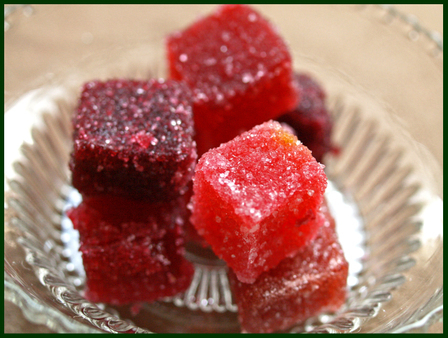 These pretty sweets are soft and intensely fruity, lovely treats for any occasions. Closer to home, I am always passing a little chocolate shop Malitourne at 30 rue de Chaillot, so one day decided to buy a little something from them. 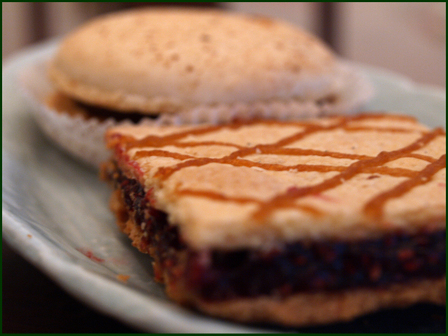 The raspberry sable was delicious, the sable biscuit satisfyingly short with good crunch, and the rich fruit filling not too teethachingly sweet. The macaron though, was horrible, the insides were so soft it was akin to eating uncooked dough, so it went straight into the bin. 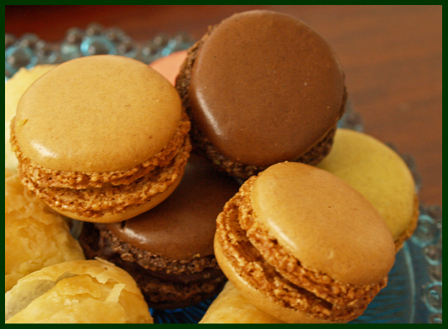 Macarons don't appear in our cake stand much, I don't exactly know why. Maybe because it is so available, maybe I've seen too many American tourists eating the supersized ones outside hotel lobbies and the Hediard down my block, I don't know, but like chocolates, I cannot fathom what the fuss is about. Give me griottines any day. To date, I've tried the ones from Laduree, la Maison du Chocolat and MiDoRe, and have been excited by none of them. Of course I have not yet tried the universally acknowledged best from, I know, Pierre Herme, but in the meantime, I remain an unbeliever. Anyway, these were from a box of ten mini ones that I bought from the market for a dinner party, I found the shell too crisp- when bitten into there is a little airpocket space between shiny top and softer squidgier insides, splitting hairs maybe, but cheaper, and in all honesty, not worse or better than its fancier cousins. All these happened in February of course, we are now in warmer March, and we have been eating a lot of strawberries dressed in with near-syruppy Dodi balsamic vinegar, but that's for next month. A revoir! What does Singapore and Paris have in common? Lots I can think of, but foodwise I would say that on Sundays many restaurants are closed; Sundays would make a good day to eat at 'ethnic' places which may be smaller, owner-operated and less bound by the rigid manpower requirements and expectations. Also, there is more time to venture further afield than our usual environs. 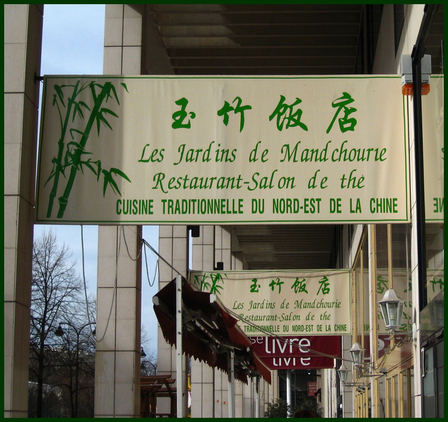 Thus it came to be two Sundays ago that we made our way to the 12th arrondisement, home of Les Jardins de Mandchourie. This place was highly recommended by Beau Lotus of East Meets West. Otherwise I would not have known about it, its location in a bland neighbourhood of boxy apartments does not exactly draw curious tourists but still the mainlander customers come by in big jolly crowds. The owners are Chinese, and the food is highly authentic, everything we ate reminded me of my meals in Beijing, maybe even better than some of the slop I ate in the capital's canteens. Example, the appetiser dish of five-spice beancurd skin was smoky and aromatic without the off-putting dominant cinnamon note that I dislike in lesser versions. We ordered dishes to specifically accompany with rice. Husband, who had to have his ma-la fix, was happy enough with a pork saute seasoned liberally with the addictive peppercorn, but I felt it could have been less oily and the chicken was a bit too 'velvety' for my liking. I much preferred another dish of roasted duck slices quickly braised until it is glazed with the robust garlicky brown cooking sauce, mildly spicy yet piquant with the additions of corianders and sesame seeds. Incidentally, on the bar counter I saw a big plastic '1664' sign, and quizzed husband about it. He said it is advertisement for the aforenamed beer, yes, but did you know, I said, that the Manchurians conquered China in 1664 and started the Ching dynasty that year? Apt for a Manchurian garden in Paris we supposed. Aside from the historical reference, there wasn't much of a Chinese feel about the room, the walls of mustards and ochres and the terracota tablecloths reminded me more of a mediterranean restaurant but then again, it could be reflecting the deserts north of China, from whence the Manchurians came from. What else did we try? 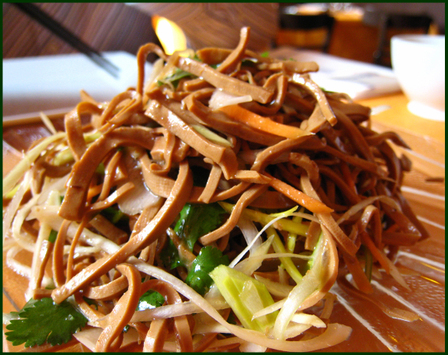 Stir-fried la-mian of course, because they pull the noodles themselves. It was very yummy, the wheaten dough cooked till yielding but with the elusive elastic teeth-sticky quality that I love. A plate of potstickers was not as exciting, I reckon we have eaten better ones at home. We almost skipped dessert, but by that time we were nearly friends with the owner and the staff, and well, we weren't in a hurry to go anywhere, so we decided to drink more tea- good tea I would add, imported from Taiwan instead of the nominal rustbrew served elsewhere. A neighbour's serving of red bean mochi looked very homemade, as in it was a big ping-pong-ball sized monster filled with mushy red beans, we were rather horrified at the rusticity, probably very tasty though. An item in the menu caught my eyes: delices au lait (or it could be delices du lait, my French is still obviously not of any use yet). What is it, I asked them? Fried milk. Oh, really? Hmm, okay, why not? Indeed it was, I don't exactly know how they make it but these critters were delicious, reminding me of the milk puddings back home but with a twist. 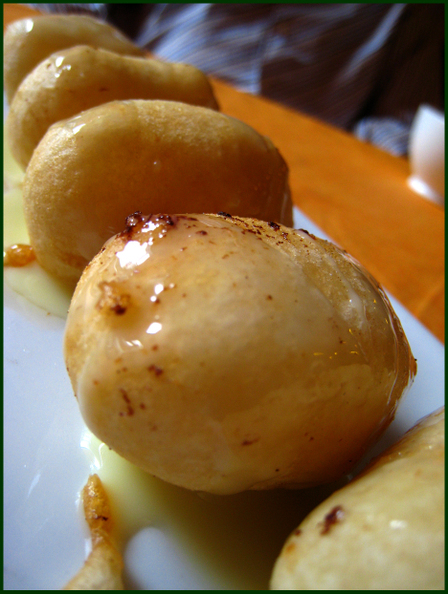 Piping hot fritters of milk pudding balls served with, a very nice touch this, a gentle glaze of condensed milk to make it look shiny and add sweetness. 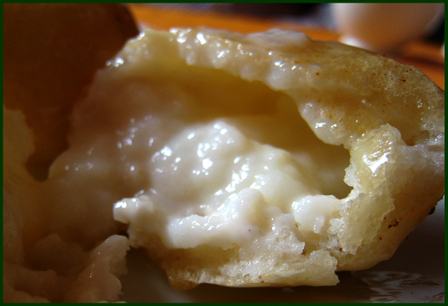 A closer look- the inside creamy and custard-like, the crisp and sightly chewy shell, the condensed milk finish. Sundays would be a good time to go, apparently they get really busy on Friday evenings and Saturdays. I would also bring a big appetite. 32-34 Allee Vivaldi, 75012 Paris. Le Cerisaie is a tiny tiny restaurant in the Montparnasse area. It came to my notice because every other week I have to walk from Boulevard Raspail to Gare Montparnasse to take a bus home after my phonetique class. At the usual 5.30-6 pm window when I pass by, I would see the chef moving about in his unbelievably tight kitchen and then I would be reminded that we should go eat there. Finally we went. The dining space inside, we discovered, is hardly more spacious. Maximum capacity is probably 25, and we were glad to have made reservations, otherwise it would have been a majorly wasted journey across the rain-splattered Friday nightscape. The welcome was very warm, very communicative, e.g. 'you'll be getting the table over there, we're clearing it now' while in the next breath the proprietress bade a smiling goodnight to the ex-occupants of our table. Every diner got similar personalised welcomes and 'au revoirs' and in between she and another server kept everything going smoothly and attentively. The menu is listed on a chalkboard, and one could compose an excellent 3 course meal for under 30 euros, more if cheese is added. I was not very hungry so I had baked eggs with mushroom soup, nice and comforting. Husband didn't have time to eat lunch so his head of veal was greeted with much enthusiasm what with all the gelatin, cartilage and tender meaty bits. He declared it marvelous, and polished his plate clean. 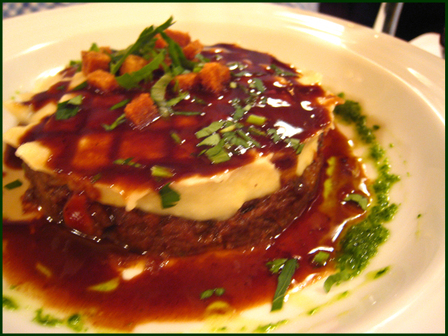 For his mains, it was more meat, this time a parmentier of long simmered beef (at least this is what I surmissed from the words mijote and daube in the description) and looking like the badly taken photograph above. The beef was, to borrow that much used term, fork tender, almost melting, but in a good way, one can still chew the meaty texture, and truly, incredibly tasty, tasty in that you-can-not-replicate-this-at-home way, immensely good. My main course was just as pleasing, grilled goose with spiced caramel pears. Everything we ate was carefully and flawlessly executed, the flavours deep and delicious, erasing memories of all previous bad meals in Paris; the way good food should be, all yummy and exciting without being contrived. I would happily take visitors here that's how highly we think of this place. Also, the wine list was interesting so husband informed me. 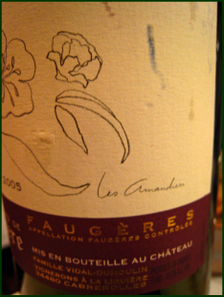 A Faugeres, our first. 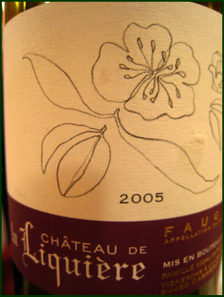 Very fruity, with medium body so as not to fight with the food, with interesting coffee and tobacco aromas. (Yep, still no bordeaux yet). Confession time. Here we are in France, where logic would dictate that we should enjoy as much French food as possible. But our palates do not know logic, only that it needs regular jolts of spices and hits of flavours from home. We look forward to trying out one restaurant a week, but we cannot imagine how it will be if we didn't eat anything with rice or chilli at least every other two days. So, two weeks ago we were walking along Blvd de Strasbourg towards Gare de l'Est where the bus 32 will take us home. Across the street my eyes were distracted by a restaurant prominently festooned with bright red plastic chillis. We also saw a van unloading a group of mainland Chinese tourists who then made their way inside the restaurant. It must be a sign. We followed. And found a near-authentic Szechuanese restaurant. Very spicy, very numbing, very oily. 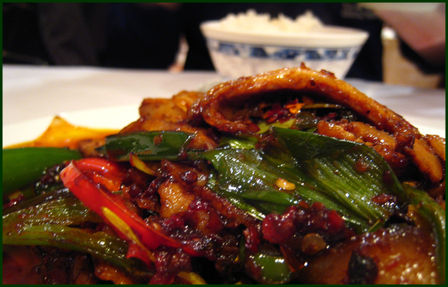 A dish of pork belly with leeks was slick with the chilli-red oil, very fragrant from wok-hei and spicy bean sauce and incredibly tasty with just a bowl of steamed rice. The owners are Cambodians, but they employ quite a few mainlainders in the kitchen and import all their necessary ingredients from China. The place is like any eateries in China, with slippery floors and staff gossiping in lilting Mandarin as they pile used dishes onto already crowded plastic trolleys. 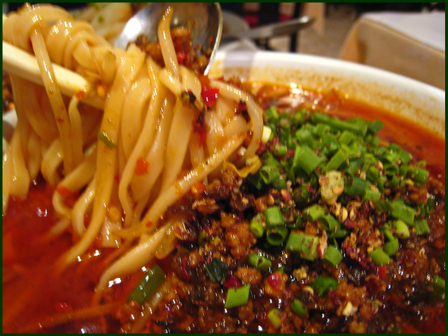 The sauce for the dandan noodles was very ma and very la, my lips were burning hot yet numb halfway through the bowl, and we were in a mixed state of euphoria and disbelief at having found this taste in Paris. Unfortunately the noodles were not hand-pulled, the owners said that making la-men from scratch would take up too much time. Therefore we have to conclude that the food here is near-authentic, because they stop short of going all the way. Still, it is worth trekking here if the weather is particularly brutal, for a bowl of huajiao-laced mapotofu to ward of the cold winds. p.s. Just across the restaurant is a closed passageway lined with cheap Indian and Pakistani restaurants. And two groceries selling Indian spices, Milo, Ovaltine and Bollywood DVDs. This place we will definitely return to for further exploration. Where in Paris can one find all of these, in one convenient location? 2. Goats, pigs, cats, ox, bull, horses, sheep, ewes, roosters, dogs and cats. 3. Rum cocktails. And wines from ALL the regions in France, by the glass, the box, the cask, whatever you fancy my dear. 4. Grand Marnier crepes and for the cerisephiliacs, crepes with cherry confiture with Cherry Marnier. For more cherries, stop by at the griottine counter and enjoy these lusciuous morello cherries in kirsch. 5. 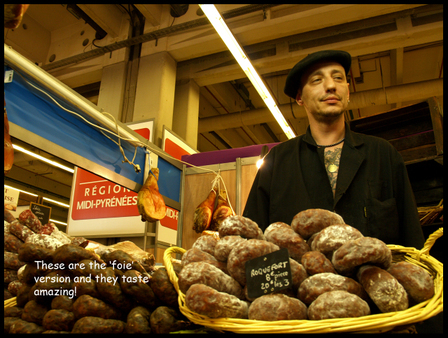 Oceans and mountains of pork and poultry products: saucissons, jambons, pates, terrines. Offered by the generous slices by men wearing tattoos and natty berets. Alternatively why not a 5 euro foie gras sandwich, hell, why not a jar of foie when it can be yours for an entirely reasonable 15 euros. At one point the sacrilegeous thought came to mind, is it too much of a good thing? Three days later though, looking at the prices of these treats at Le Grand Epicerie, Bon Marche, we were kicking ourselves for not buying more. 6. Celebrity chefs. See, my french teacher had a useful tip when she advised us to watch lots of french TV. She meant the news channels of course, but if it were not for my diligent sessions of Cuisine.TV, I would not have recognised the face of Eric Leautey. I didn't know his name and had to ask it, but he was very sweet about it, and then he showed me his beautiful new book on 'en papillote' cooking. All these and more, was what we enjoyed at the Salon International de l'Agriculture (last day today). Unlike most things French, this was an incredibly well organised event: tickets were easily available online, at FNAC or at the venue, they cost 12 euros for adults and children under 6 get in free, and well, I may be easily impressed but even in the big crush the queues to the toilets (clean and dry of course) were not too long. Next year we'll make a two day trip out of it, one for the little girl to ooh and aah at the animals, and yes, for another go at the piggy race so she can get that 'le porc' t-shirt. And another day to stock up on all the edible goodies. More photos viewable in this flickr site. 1. 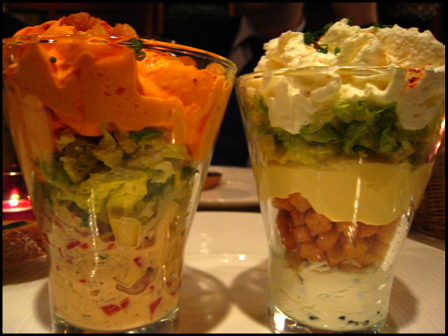 If there is a large glossy laminated menu with pictures of set meals plastered prominently on the windows. The bigger and shinier the dining space, the more reason to walk away. Unless one is in the mood for chain conveyor belt sushi, which can happen I will admit. 2. Dead giveaway that it is a Vietnamese joint masquerading as Japanese restaurant: nems (Vietnamese spring rolls) in the menu, complimentary nems with rust-water tea, or in case we miss all the signals, a team of kitchen workers making nems from a big pot in the see-through kitchen. Ditto sesame brittle, tapioca coconut cake and coconut juices in cans. Actually the tapioca coconut cake was quite yummy, certainly better than the machine-pressed sushi. 3. The staff can speak Cantonese, Teochew, Mandarin and any Chinese dialect you care to test them with. The soya sauce bottle is huge, like the ones my grandmother used in the 70's. The Japanese prefer teapot shaped soy sauce dispensers. Most of the places that I like are terribly nondescript, as if they don't want to draw attention to themselves. Like Toritcho, which is tiny, a little worn at the edges, with faded plastic replicas of sushi in its window display. It is itself sandwiched between two bigger and shinier neighbours of rule no 1, along rue du Montparnasse. But they take their food seriously, there is a sushi chef out front and a garrulous mustachioed guy behind making the sumiyaki items. 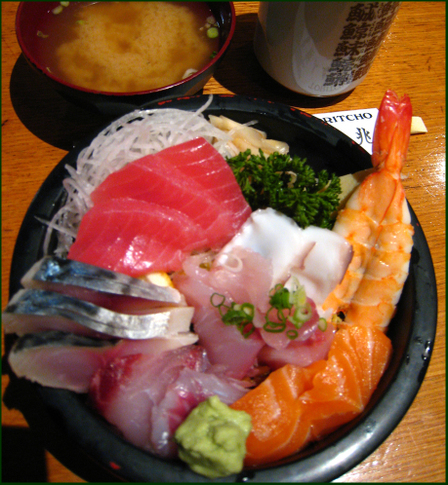 The bowl of very fresh chirashi sushi, complete with psychedelic pink floss, did much to bring cheer to an otherwise wet and grey afternoon. 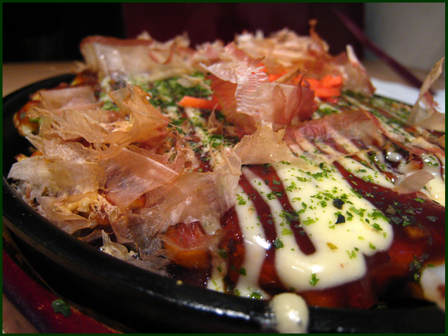 Then there are the places that are specialised in only one or two types of food, like okonomiyaki bars. Literally one could sit along the counter and watch the cook make the seafood/bacon cabbage omelet pancake thingy. Just the thing for a mid-shopping snack, along with the mandatory glass of beer of course. At Aki they even provide a dedicated okonomiyaki spatula. Usually a mimimum 15 minute wait is required. 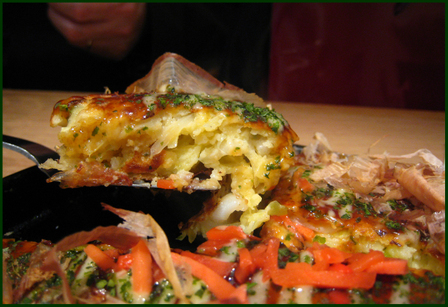 The beautiful okonomiyaki comes in its own hot plate and crowned with lavish curls of dried bonito, mayonaisse drizzles and a sprinkle of parsley. Onto desserts. The French and Japanese have this mutual pastry love going. All the big names in French patisseries are in Japan, and there are some serious Japanese names in Paris too e.g. Sadaharu Aoki. There are even wagashi teahouses here. Not just the big brand Minamoto Kitchens, but smaller dedicated places like the Toraya. 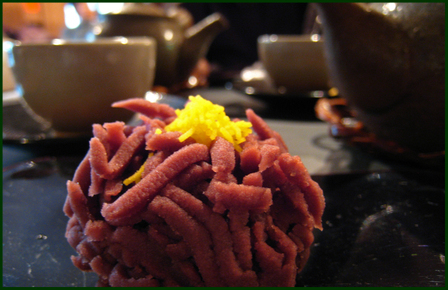 Above was a spring confection of red beans with citrus flavoured shavings to resemble a peony, tres elegant. 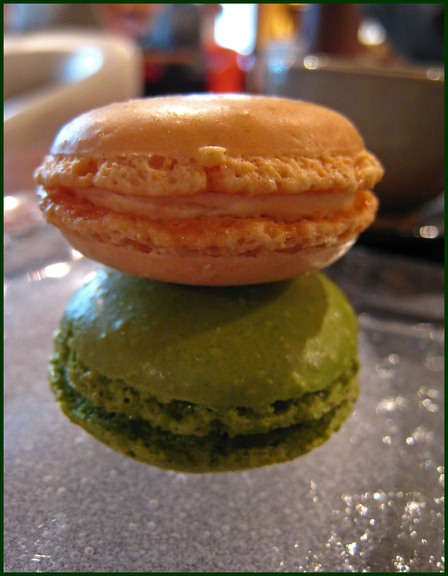 Macarons get the Japanese treatment here, with predictable green tea flavours and the more unusual soya powder variation which I liked very much. The nutty toasted aroma and distinctive flavour made the eating of the delicate sandwich a truly beautiful and ephemeral experience. When we were shopping in the 16th arrondissement last weekend for a humidifier, we came across yet another Japanese patisserie-cafe. 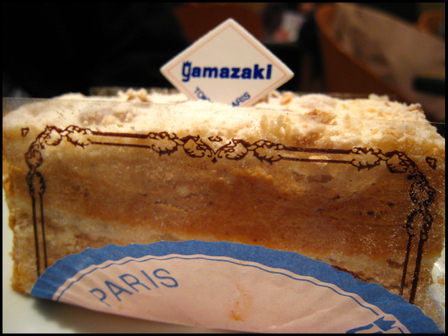 Gamazaki has a dazzling selection of gateaux, millefeuilles, tortes etc which run out pretty quickly especially at the weekend. By the time we sat down, 20 minutes from its closing time, there was only a sad looking, but delicious nonetheless, hazelnut confection left. 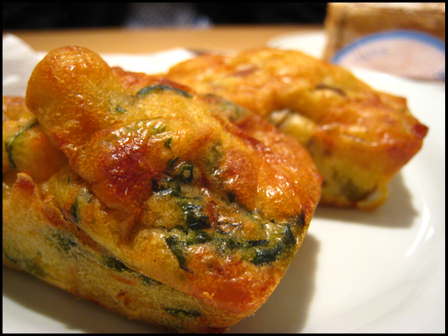 What I enjoyed also was their savoury cakes, here we sampled a salmon/spinach combination and an olive/ham combination. Both were delicious with a cup of milky hot tea. 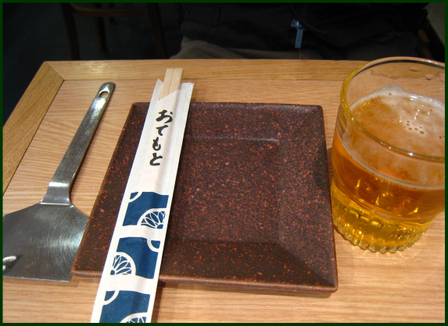 Or a Japanese magazine, which usually carries lots of features about other Japanese eateries. In case, you know, we run out of ideas.